Sugarcane and banana trees stand in rows as far as I can see, and the sky is a watercolor-wash of blues and grays heavy with the coming rain. We walk the rutted road, the dust rusty beneath our feet and the air presses down thick as we breathe in the heat of the day, my last in Uganda. It’s Good Friday, a day of hard departures. We’re walking to the church, the beautiful white building with doors on every side: North, South, East and West all welcome here. It’s the biggest church I’ve been in, ever, and it’s out in the bush down hours of the worst road I’ve traveled (even here, where the rain changes the landscape every time it falls). 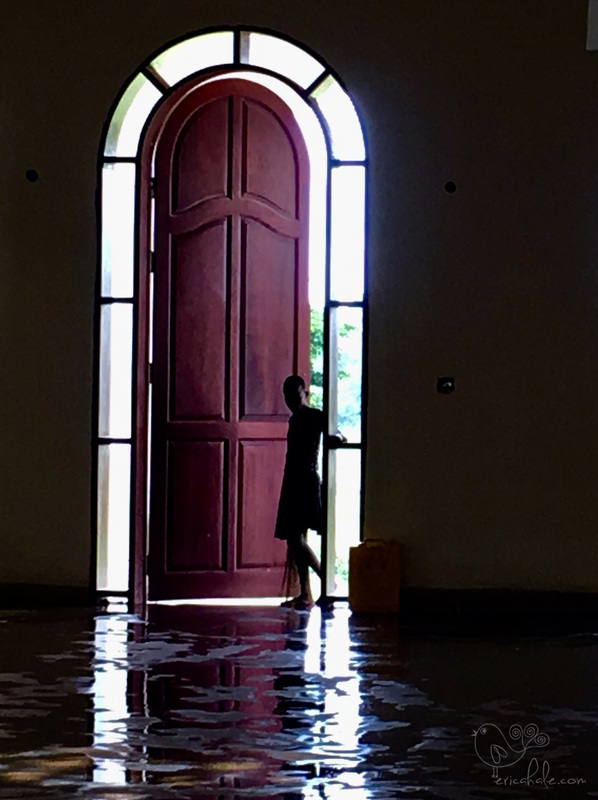 Hundreds fill its cavernous space each Sunday, come to worship the God Who Sees Me even here–even when you’re poor and no one else will look you in the eye. But today, this Good Friday morning, it stands silent and still. We push open the huge doors (welcoming us, from the West) and stand together. Joel grabs an African drum and we form a circle, lift our voices in worship in the empty, sacred space between this world and the one across the waves. Our voices echo through the empty sanctuary, travel to the highest places in the soaring rafters and then fall down like rain over our open palms. I’m both as empty as this church, an open space as vast as the sky above…and as full as the heavy rainclouds waiting to release their burden of blessing on the thirsty ground below. 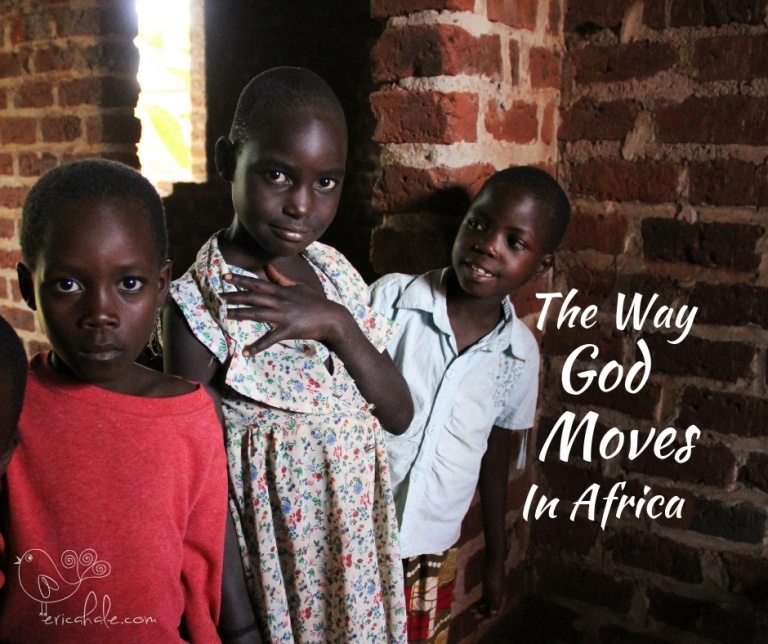 I am afraid I will forget the way God moves in Africa. The way He gently comes, kneeling in the red dirt in his Jesus-skin, and wipes away the tears of His children. The way He rides in on a white horse, sword swinging, cutting down the enemies that press in around the saints of Uganda; driving back the evil that strives to stem the tide of blessings as lives and souls are saved by loving grace. The way He shows up, dancing and laughing, in the midst of 800 pregnant women who’ve come in hopes of a miracle, their feet swollen from walking all day and their spirits broken by defeat and hopelessness, and Jehovah Jireh multiples the loaves and the fishes and brings that miracle to all of us. I am afraid I will forget, once the chatter and clatter of North America creep back in, once I return to the land of plenty where God is pushed to the side like an embarrassing houseguest, patiently waiting for a turn to speak His mind. Here in the love of Christ, I stand. Is this what he meant? I’ve become a stranger in my own world. Lord, let me not forget the way You move in Africa. We walk back, silent, as the gathering clouds grow heavier above us. 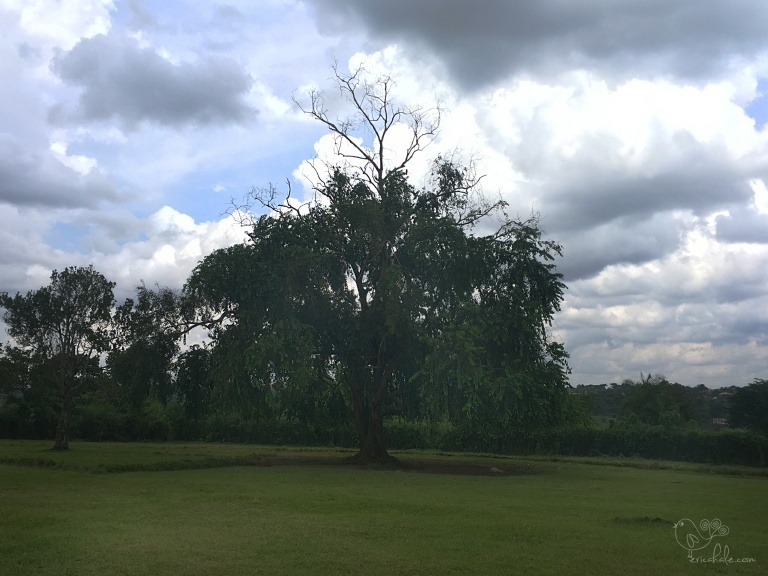 We pass the tree, spreading branches out against the sky like a cupped palm protecting the earth below–the tree where, for thirty years, the church gathered to worship God. The church under the tree, they called it. And then, God built the miracle with open doors, North-South-East and West, that stands there with a strong foundation and a roof that keeps out the hardest rain. 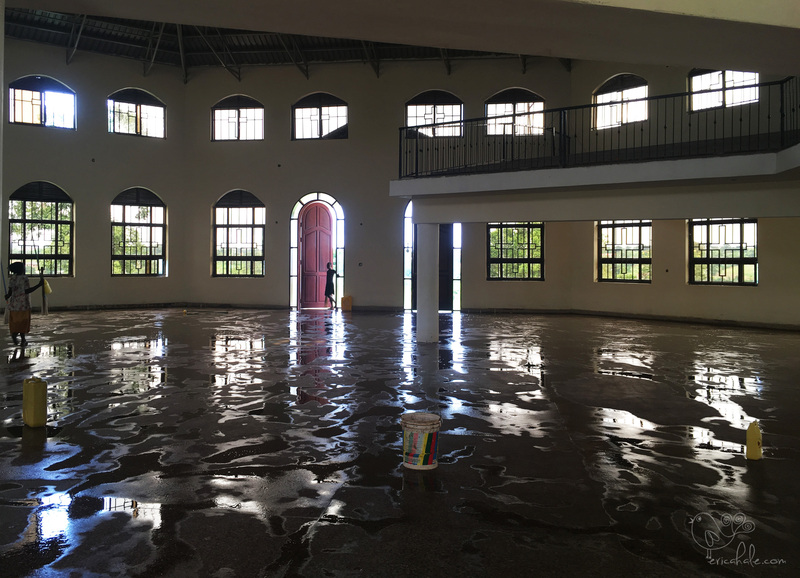 The church that will fill with 300 people, whose voices will rise to the rafters and beyond–up through the clouds and over the red dirt huts, over the tin shacks of the slums, over the deep ocean that divides us. And the sound of worship will fall like rain, into our open palms. This is beautiful. I felt exactly the same way when in Cambodia. So close to God, nothing else mattered. I am also afraid of the “clatter of North America” dulling me to His spirit. “Dulling me to HIs spirit…” yes, exactly. Thanks for encouraging me to blog again!